G.H. 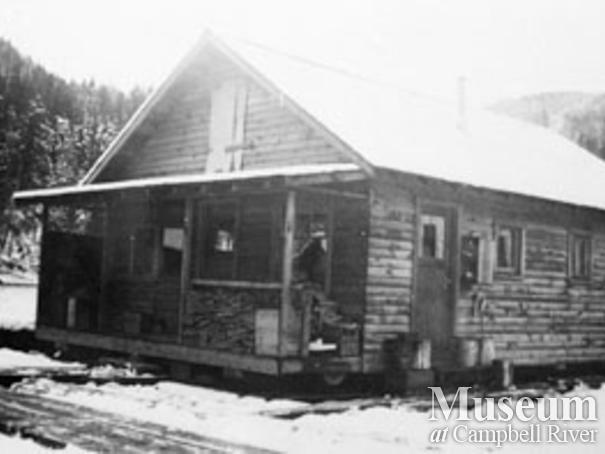 'Doc' Gildersleeve operated a small logging camp at various locations. 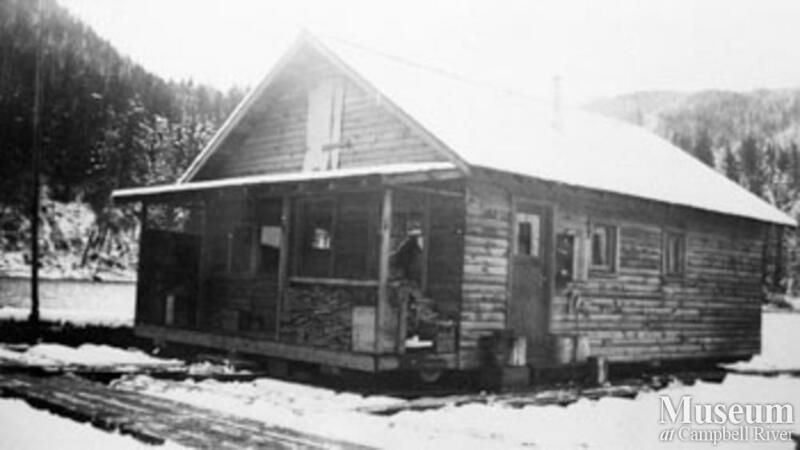 According to Ken Drushka's book, Working in the Woods he established the first truck logging camps on the mid-coast. This photograph taken when the camp was located near King Island. John Vogt was hired as the camp school teacher at that time.